They’re tough, 200m waterproof, jam-packed with features, and extremely affordable. I say “extremely” because your G-Shock is going to last you for years. Yes, even those cheap $40 models are unbreakable. But what are the best G-Shocks you can get for the money? 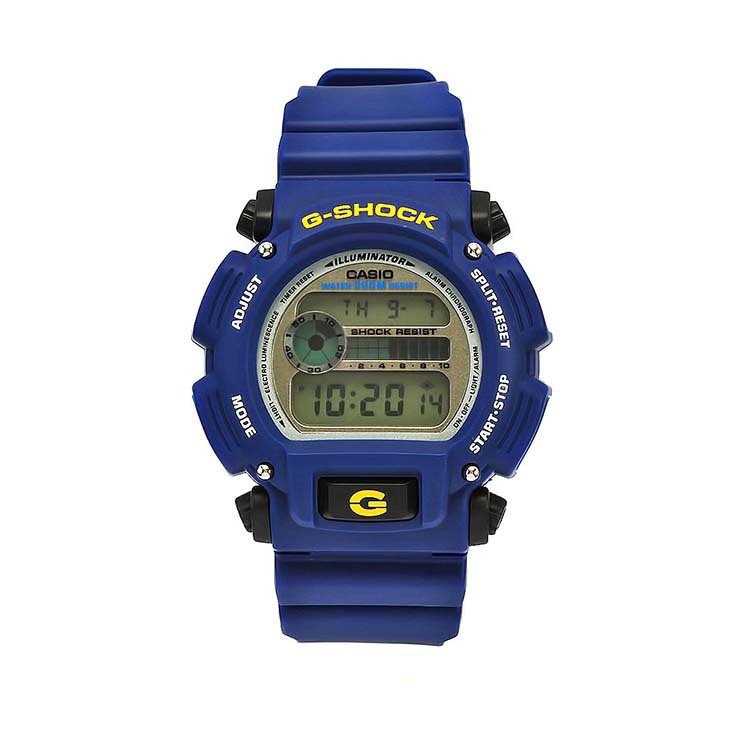 G-Shock DW9052 has been selling like hot cakes ever since it came out in the 90s. It’s a tough, basic and cheap G-Shock that gets the job done and retails below $50. Popular with construction workers, the military, and skaters. At 48.5mm in size, the case of DW9052 is “medium” for a G-Shock and will fit most wrists. The features on DW9052 are basic – as you’d expect for the price. Still, you get the dedicated “G” backlight button giving you good access to the electronic LED. The visual second-counter bar right above the time display is a cool detail. Check out our full DW9052 review for more details. 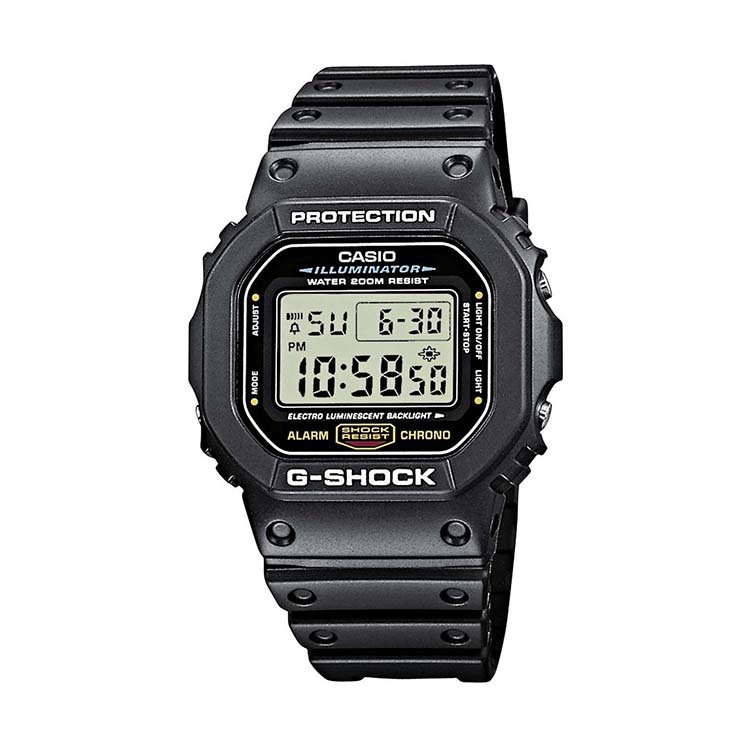 G-Shock DW5600E-1V still sports the same square design as the first G-Shock watch from the 1980s. 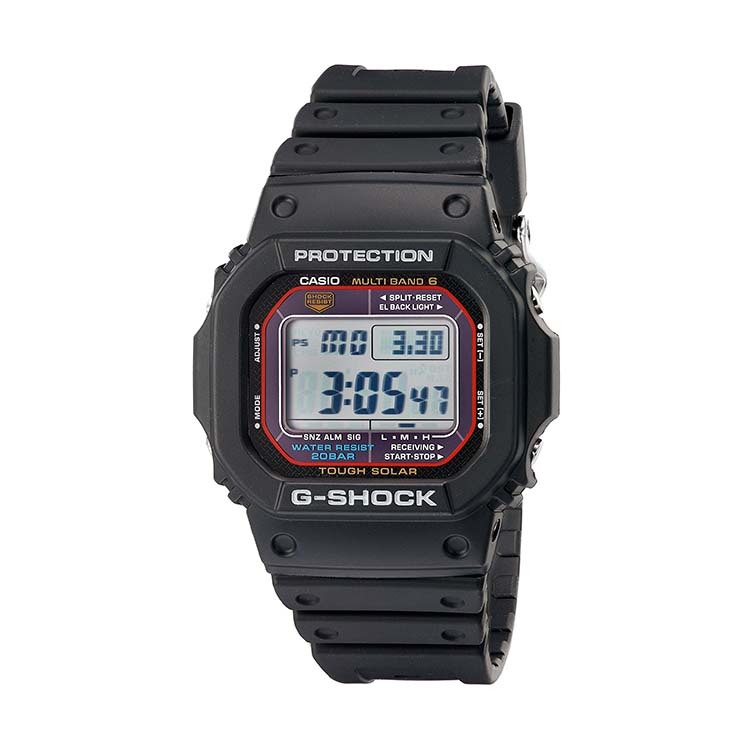 This basic square is one of the most popular and cheapest G-Shock models that you can buy. At 43mm, the small size of DW5600 makes it comfortable to wear and perfect for smaller wrists. In other words – DW5600 is a perfect first G-Shock watch. It’s where most people start with, including me. With other models, you have the risk of them being too big for your wrist… and what’s the use of a watch if you don’t wear it? While it comes with only the basic features, they’re enough to get the job done. P.S. You’ll be happy when you see the price tag. 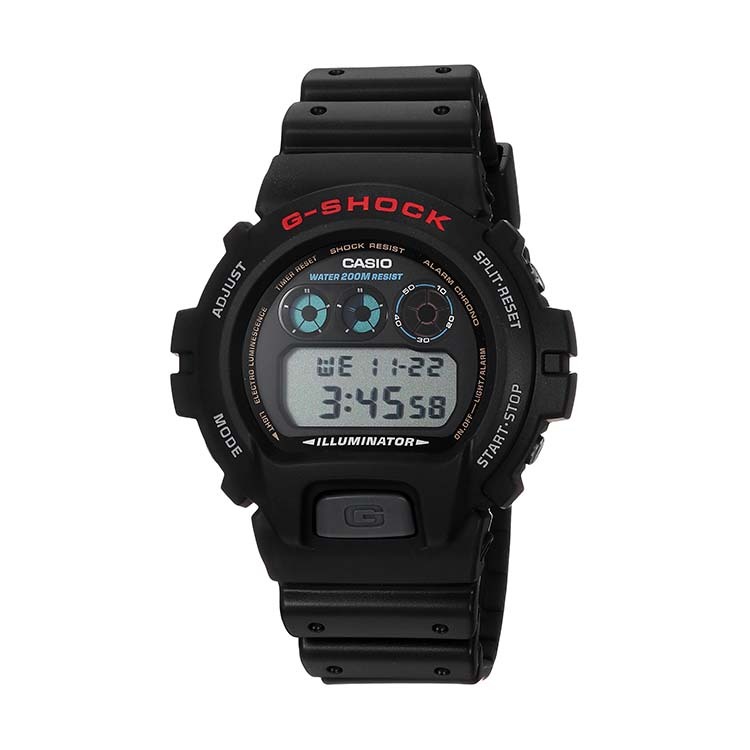 And the third “basic” budget model – G-Shock DW6900. This bad boy is a blast from the past with its three second-counting rings on the face. Man, those rings will transport you straight back into the 90s, I promise. It’s a simple utility watch with basic features – exactly the same as the other two “budget beaters” above. DW6900 also features a front backlight button for increased accessibility. At 48.5mm, the size of DW6900 is “medium” and the watch will fit most wrists. If you like something more colorful, the DW9052 also comes in a blue-yellow case. Besides looks, everything is the same. Even the cheap, sub-$50 price of the watch. Check out the video below to get a closer look on the design. Another version of the same model, G-Shock DW9052V-1CR comes on a nylon canvas strap. The weight, feel and looks of the strap are the main differences here in comparison to the normal resin. While it’s a personal choice, I prefer the standard resin strap. I find it more comfortable and it’s also slightly more durable. Dual time display and analog hands are the first two things you’ll notice about G-Shock G-100-1BVMCI. It’s a neat and simple G-Shock that retails a little above $50. At a little below 50mm in size, this G-Shock is larger than the budget models above. Check the video below to see how it looks like on the wrist. The features on this G are more advanced. You can monitor two time zones with dual time, and the red hour hand is good for readability. A great option if you want a budget analog G-Shock. G-Shock G300-3AV looks deceivingly simple. But in reality, it is a small beast that comes packed with features. 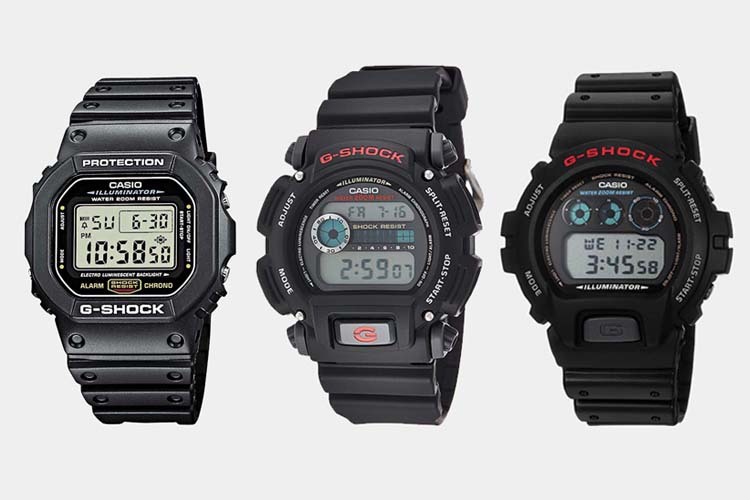 For example, you get the 48-city world time and the dual time display – in addition to all the other G-Shock basics. Most importantly – with a modest 44mm case the watch will fit all wrists. It’s an underrated model, but one of the most comfortable G-Shocks that I’ve ever tried. A perfect everyday watch. G-Shock G7900 Rescue Series is a tough beast of a watch that’s made specifically for EMS responders. And you can see that from some of the features. There’s a hands-free backlight mode – you activate the backlight by moving your wrist without having to press any buttons. Also, the low-temperature LCD is built to withstand extremely low temperatures. And as far as I know, G7900 is one of the cheapest G-Shocks with the tide- and moon graph functionality. Combine that with waterproofness, and you’ve got yourself a great surfing watch. G7900 is not small at 50mm, but the features make the size worth it. If the bright red is not your thing, you find it in other colors if you search around on Amazon. No other G-Shock besides the Mudman line has this kind of protection. Besides ruggedness, you’ll love the hands-free backlight and world time functions. Because of the extra protection, the buttons are harder to push than on other models. But you might also appreciate that – they make the watch feel sturdier. 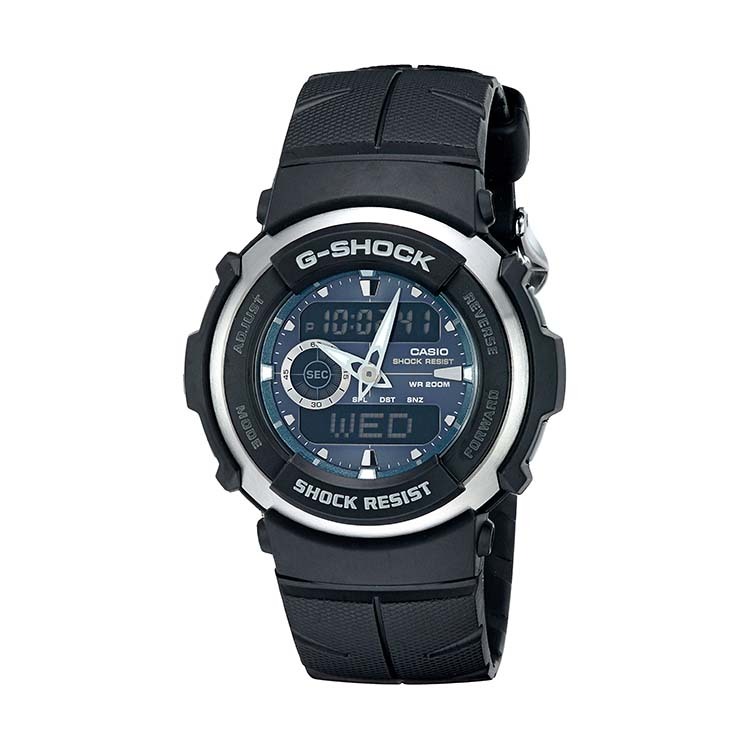 G9000 is a large watch that will look big on your wrist. It’s one of the manliest G-Shocks out there. Want to know more? Check out our full Mudman G9000 & G9300 review here. Let’s start from looks. The 3D face of GA100 is full of small details. You’ve got those dotted month letters, the “mach” flight speed calculator, the orange backlight, and the small stopwatch dial. The watch looks great – manly, industrial, stealthy. The only downside – the backlight is on the weak side. You’ll be able to tell the time in the darkness. But it’s hard to see the smaller windows on the display. The comeback of the second-counting rings. 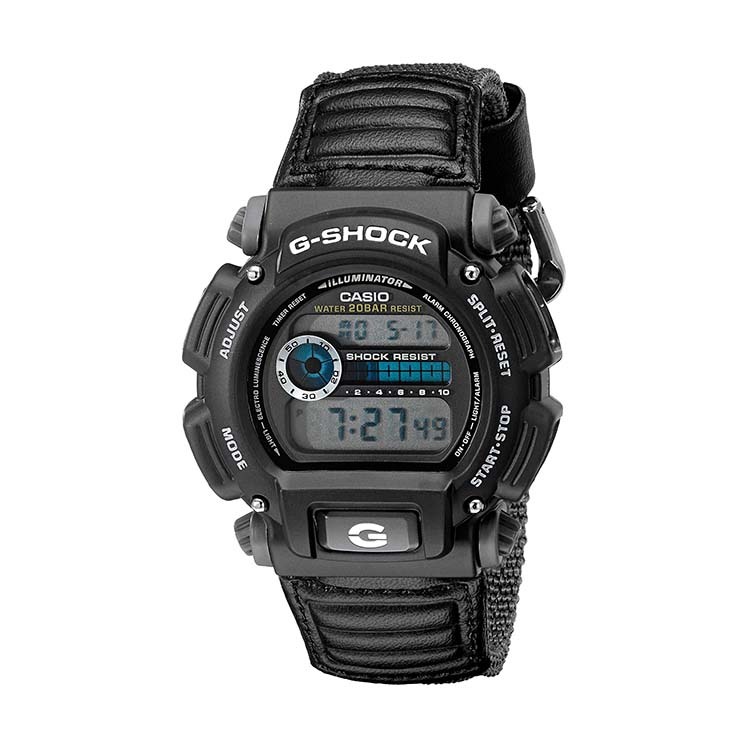 Just like the DW6900 above, G-Shock GD-120 has the legendary rings on the face visually counting the seconds. 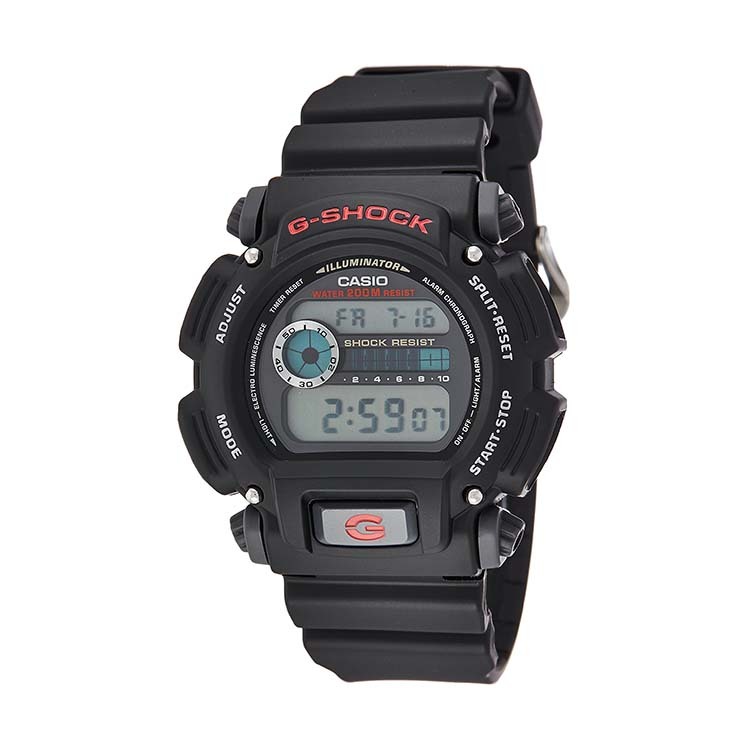 This is a modern G-Shock with a retro design, an oversized 51mm case (same as the GA100 above) and the world time feature. 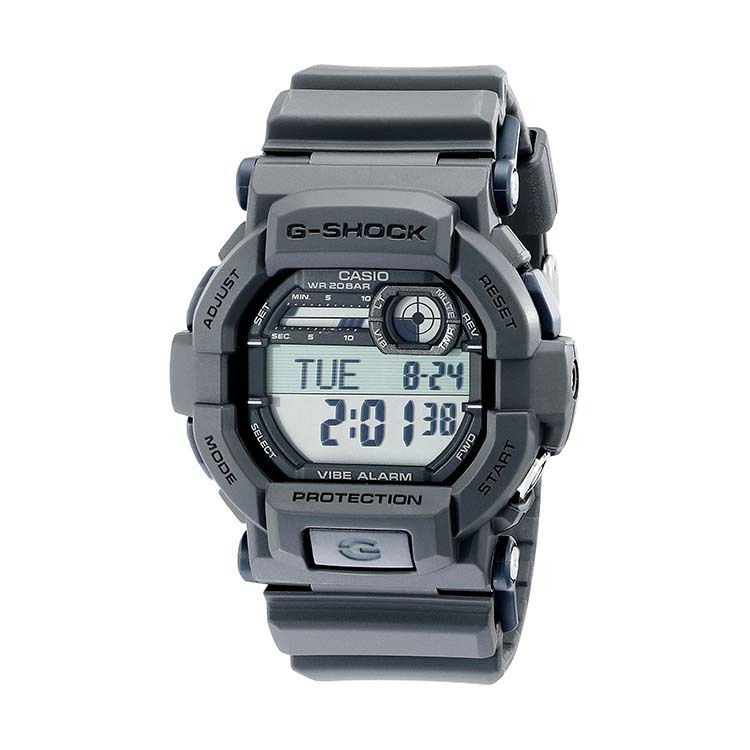 Get the GD-120 if you want a perfect blend of retro G-Shock design with modern G-Shock technology. The military watch with a vibration alarm. 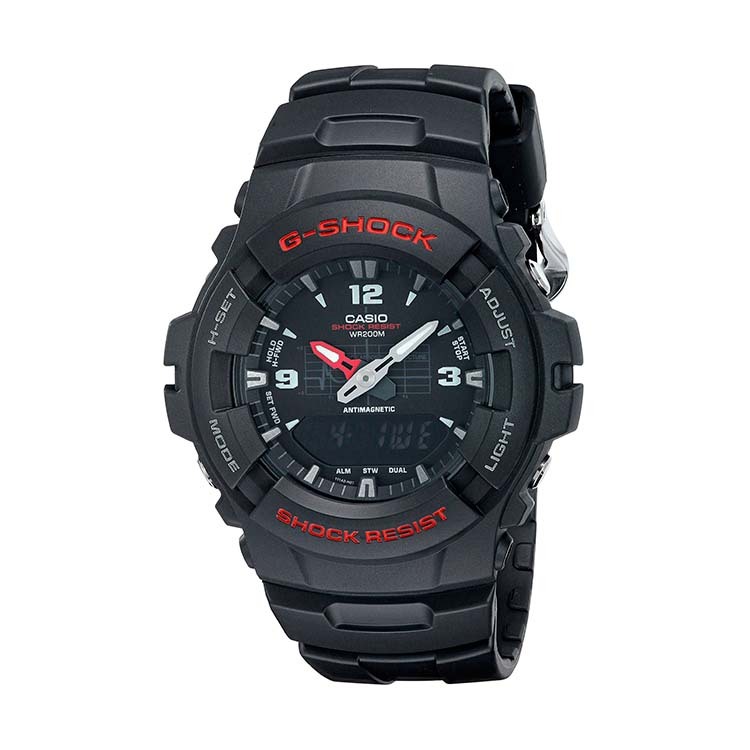 G-Shock GD350 is an amazing budget G-Shock that comes with the vibration alarm feature. It’s a large watch with the case diameter of 53mm. GD stands for “Gulf Delta”, which is Casio’s line of military G-Shock watches. The military-specific features on GD350 include the vibration alarm, button mute, hands-free backlight, and a dedicated timer button on the right side for instant countdown access. 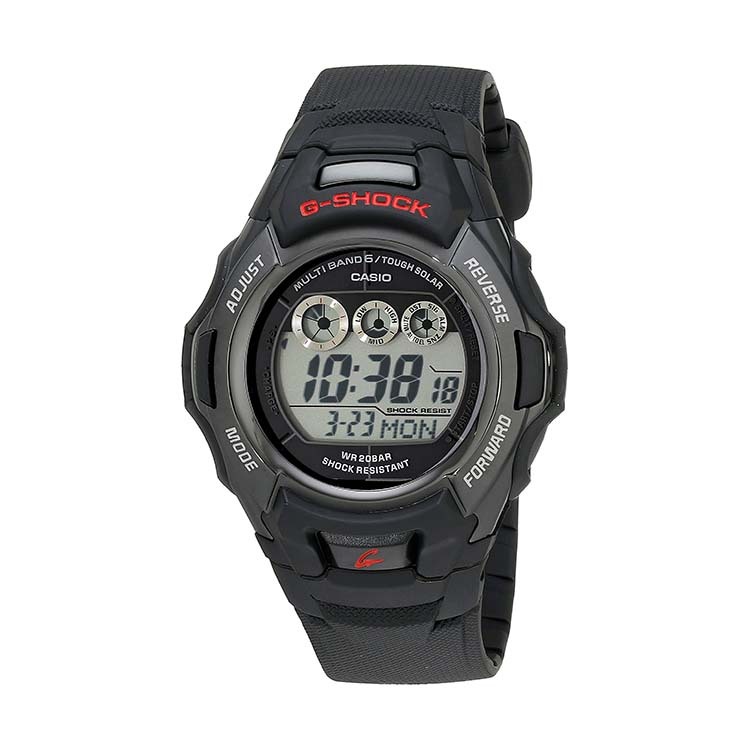 GD350 has more features packed in it than any other “budget” G-Shock. Which is why it’s surprising that they’re selling it under $100. 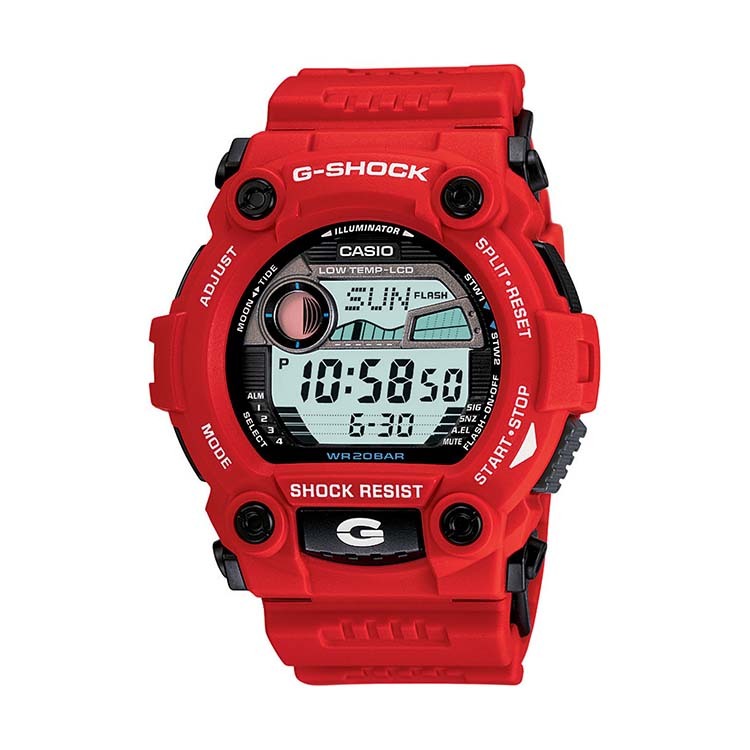 GD350 is not the cheapest G-Shock. But from all the watches on this list, this one will get you the most bang for your buck. Really – this watch is so cool that we’ve written a full review on it. Notice the turned Y-Shape on the dial of G-Shock GA110. 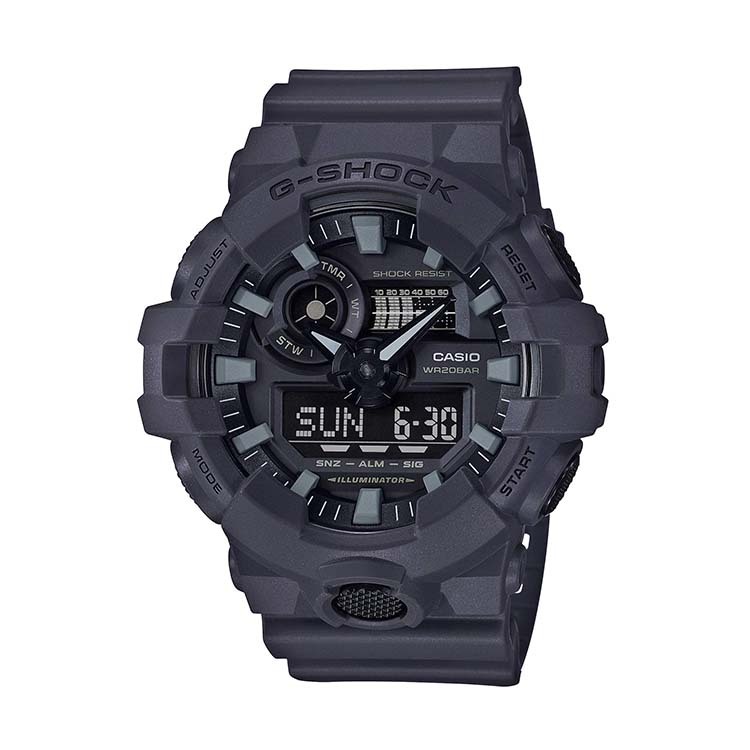 The distinct look has made it one of the best-selling G-Shock models of all time. But besides from the Y-pattern, GA110 comes in a 51mm oversized case, and with the same features as GD120 and GA100 above. This is your standard, modern oversized G-Shock with the world time and dual time display functionality. 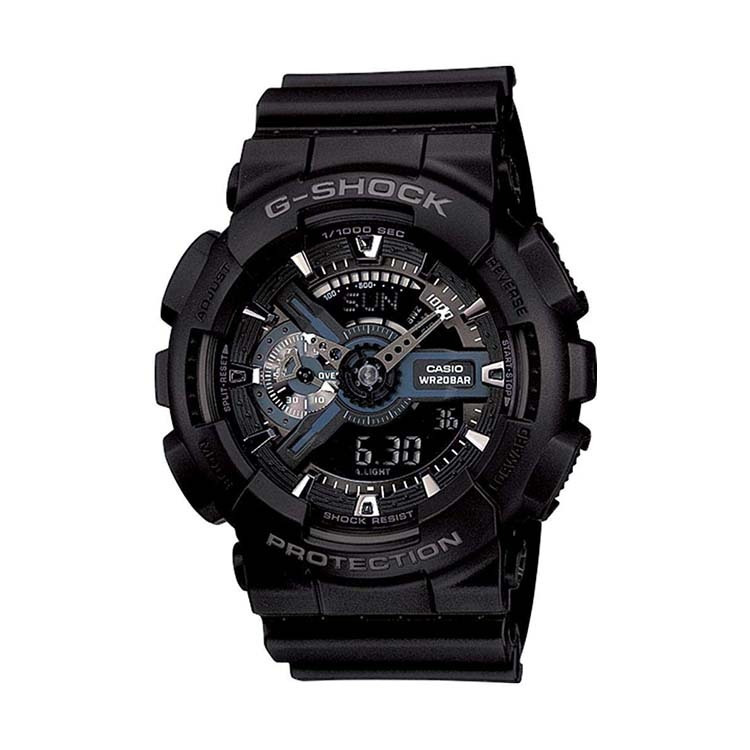 G-Shock GA-700UC is a “modern” oversized G-Shock whose case clocks in at 51mm in diameter. 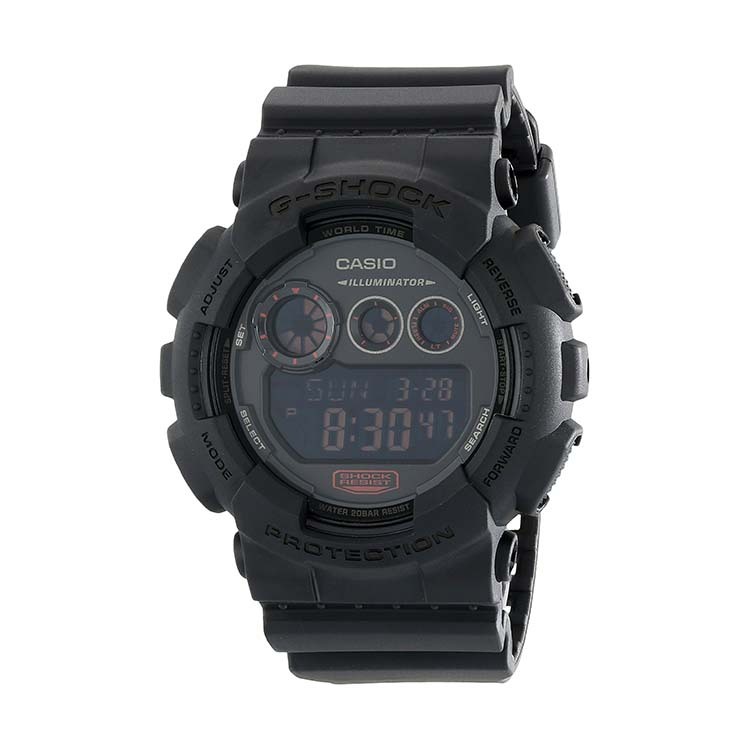 GA-700 has the most different colors and designs available with colors ranging from full black to black & gold to camo. I’ll warn you – it’s not as cheap as some of the other G-Shocks above. But the coolness is worth the extra price you pay. What this means is you’ll never have to worry about changing the battery. Or setting the time. This little watch will do all of that for you, automatically. The case is on the small side – around 45mm – which means that it’ll also fit most wrists. A Solar Square. 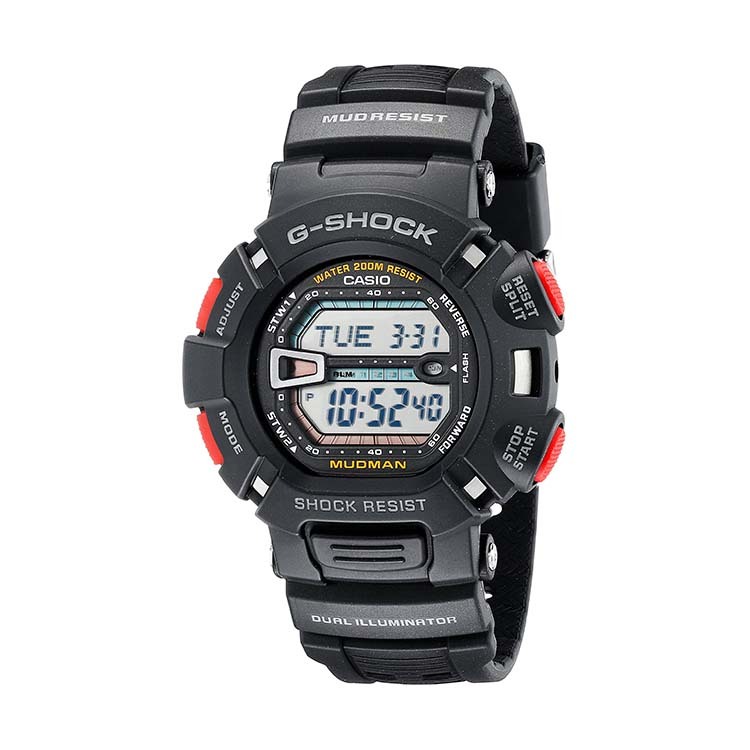 G-Shock GWM5610-1 is very similar to the model above, as it also comes with Tough Solar and Atomic Clock. The smaller 43mm square size is the only difference here – the features are the same on both solar watches. Get this one if you prefer the square design. Black out. 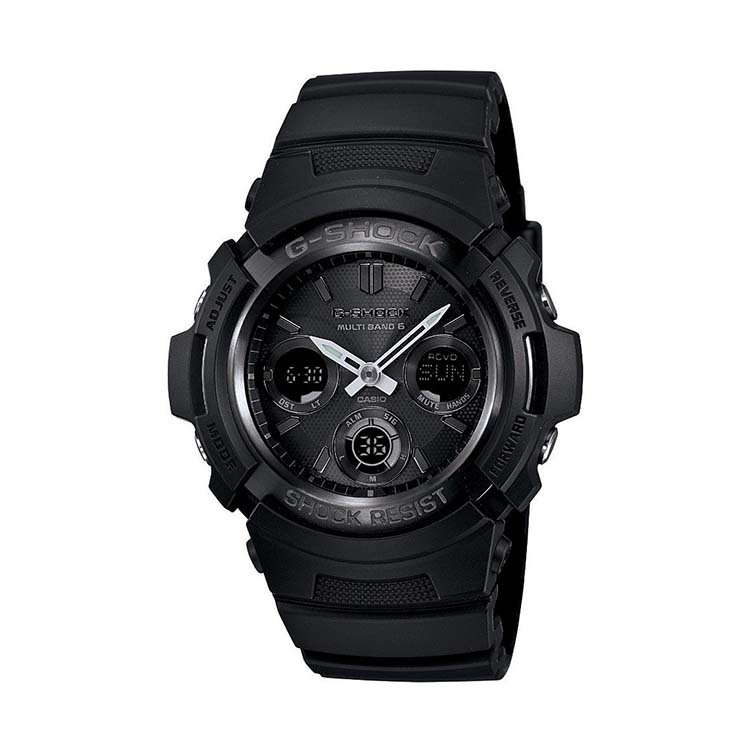 If you want a budget solar G-Shock in all black, check out G-Shock AWGM100B-1ACR. The features are the same, but the black metallic looks make this watch classier than the two solar G-Shocks above. This is a G-Shock that you can dress up and down. Case diameter is average – at 46mm this watch will fit most wrists. A tiny bit larger than Daniel Wellington’s men’s watches – for reference. As a downside, the backlight is weak. You’ll see the time, but not the other dials in the darkness. Prepper, shooter, and a father of two. After work, you'll find me at the range, playing with my kids, or looking for new watches to add to my collection. Rightsurvival.com is a participant in the Amazon Services LLC Associates Program, an affiliate advertising program designed to provide a means for sites to earn advertising fees by advertising and linking to www.amazon.com, www.amazon.ca and www.amazon.co.uk.